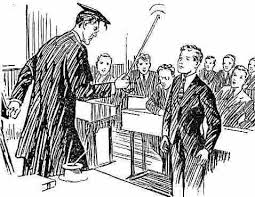 Chief reviewer of the national curriculum, Kevin Donnelly, caused a stir this week when he advocated a move back to the days of corporal punishment in schools. When asked about his stance on the issue, Donnelly asserted that it was ‘very effective’ during his time and that the practice still has some merit. He even went as far as advocating its use if it had the backing of the local school community. Interestingly, some polls conducted in recent days have indicated support for corporal punishment. Viewers of A Current Affair seemingly support it, with 73 percent of respondents in favour. Sure, this is quite an accurate reflection of A Current Affair viewers, but the figures really are quite surprising considering how backward the idea of physically abusing children in public institutions is. Moving past the fact that I know of no decent teacher who would actually use this power if granted to them, I cannot see in any way how it could possibly be regulated or have any positive outcome. Kevin Donnelly – Chief Reviewer of the National Curriculum. It will teach young people that violence is an effective means to an end. I mean, if it can happen in schools, why don’t we allow bosses to punch lazy apprentices, or retail managers to slap employees who don’t measure up? Yet aside from these points, what any flirtation with this idea fails to recognise are the common underlying causes of student misbehaviour. More often than not, the most difficult students experience an average life at home. They may come from violent or broken families with very little stability. Their self-esteem is usually incredibly low and this results in them engaging in attention seeking behaviour. So imagine what belting up on one of these kids is going to achieve! Now they can look forward to a few whacks at school as well as at home. Corporal punishment is backward, medieval and reactionary. Yet there is one point Mr Donnelly made that was valid. There has been a fall in student discipline across schools. Suspension rates and expulsions are currently at an all-time high. While corporal punishment is certainly not the answer, there is definitely a need to give schools and teachers greater scope to discipline unruly students in an appropriate manner. The amount of rigmarole currently needed to suspend a student is ridiculous. After-school detentions are becoming an outdated practice due to their inconvenience (on parents and students) and teachers are caught up in such a tangled web of political correctness that they can hardly call out a student for stupidity without being admonished over the phone by an incensed parent. How dare you say that to my child! There’s no doubt, students certainly know what their rights are and they are highly aware of when a teacher may have impinged on those ‘rights’, and thus the respect that should be afforded to teachers has gradually been whittled away over time. Savvy students are aware that there’s really little a teacher can do to meaningfully discipline them if they decide to play up. Perhaps some time-out of the yard or a few extra minutes in class at lunchtime….but no accountability in the long run for ongoing general misbehaviour. So while corporal punishment will only exacerbate the situation, there’s certainly a debate to be had about what schools and teachers can do to ensure better discipline. Although it should be noted that focus on discipline alone would be reactionary. The proactive side comes from the parents, it always does. Any debate about student discipline must place the quality of parenting front and centre in the discussion, because children who have been brought up well are rarely the children who cause difficulties in the classroom. By the way, there’s really something to be said of the generation who did receive the strap. We often hear the line: ‘I copped it back in school and I turned out fine.’ But was it really that great? School retention rates were extremely low, attendance levels were average, year 12 attainment was achieved by less than fifty percent, and there was no modification of curriculum for students who struggled. If you were dyslexic you were considered lazy and disinterested. If you wrote with your left hand it could be beaten out of you. If you were autistic you were pretty much on your own. Yeah….sometimes nostalgia can be a dangerous thing. Let’s look forward, shall we? Nice topic choice Mr Hughes. I agree with you on this. It just stupid , why would you want to bring this punishment back? Looking forward to read more of you fantastic writing sir. I believe that corporal punishment would help discipline these feral teenagers in our schools. That fact that we don’t have it is an absolute disgrace to Australia. Dane, are you serious right now? that’s the stupidest thing I’ve ever heard! Get a life my friend. i also agree that bringing back corporal punishment will not solve child and teenager discipline.